Thank you for supporting Bethlehem Baptist Church. 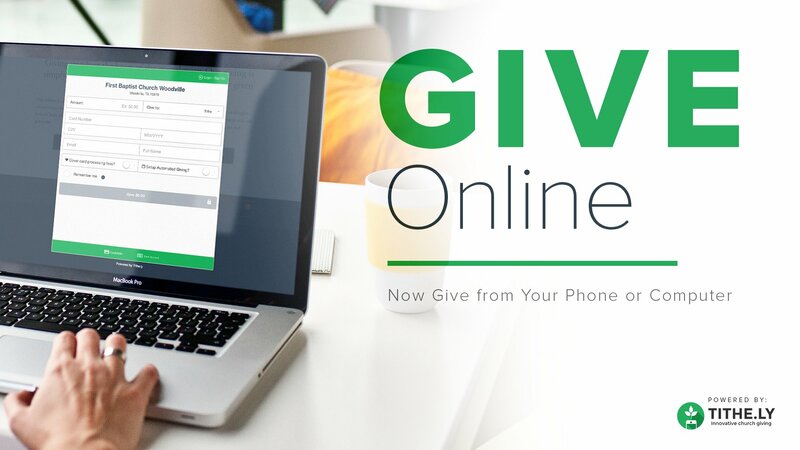 Click the give button below to make a one-time gift or to set-up recurring gifts. You can make your donation by Visa, Mastercard, American Express or echeck (from your bank account).